Check out Tobi's First Love Velvet Joggers Suit up for track season with the First Love Black & Red Velvet Joggers. 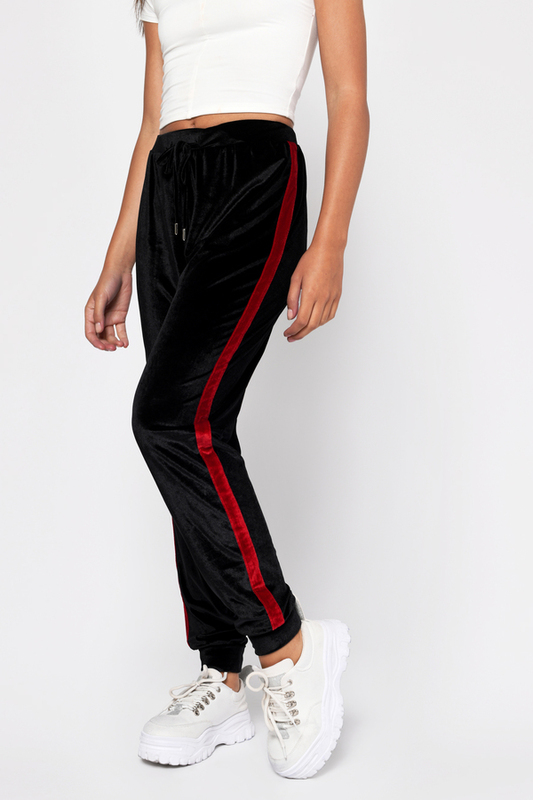 These cute velvet joggers feature a soft velvet with a waist drawstring and ankle cuffs and side track stripe. Pair these velvet track pants with the First Love Velvet Hoodie for a hot athleisure look. Suit up for track season with the First Love Black & Red Velvet Joggers. 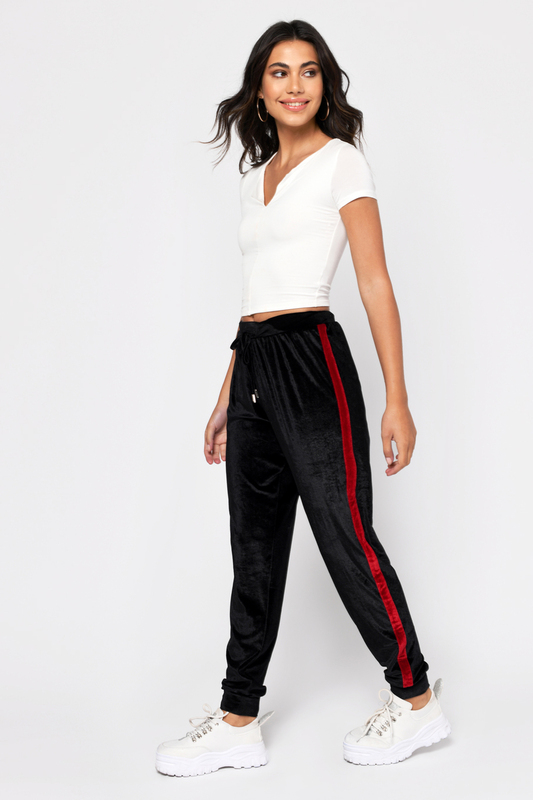 These cute velvet joggers feature a soft velvet with a waist drawstring and ankle cuffs and side track stripe. Pair these velvet track pants with the First Love Velvet Hoodie for a hot athleisure look.